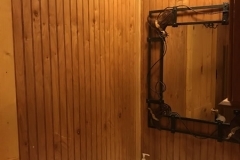 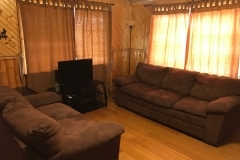 $150.00 nightlly which includes all taxes and cleaning fee. 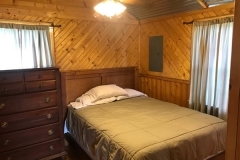 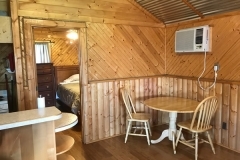 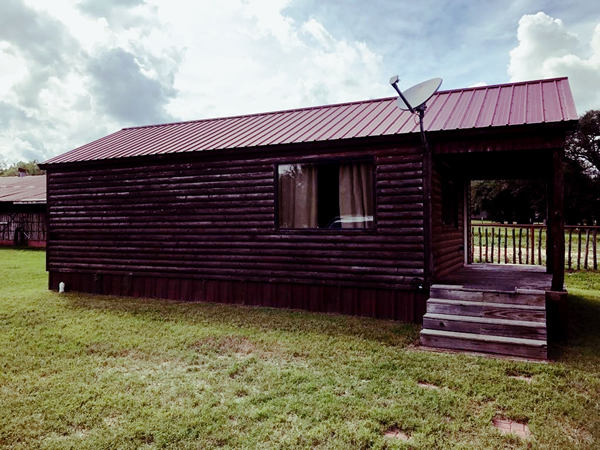 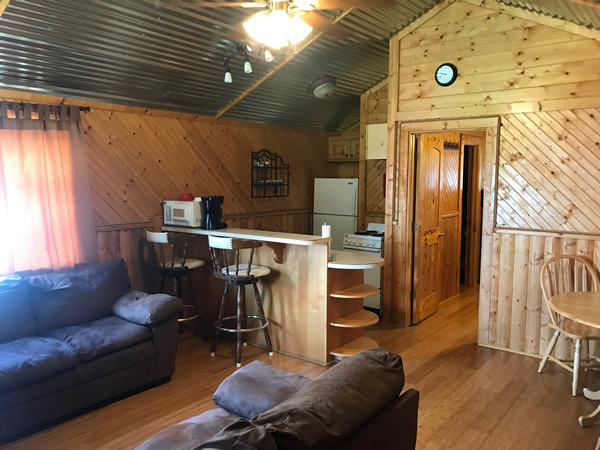 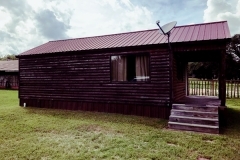 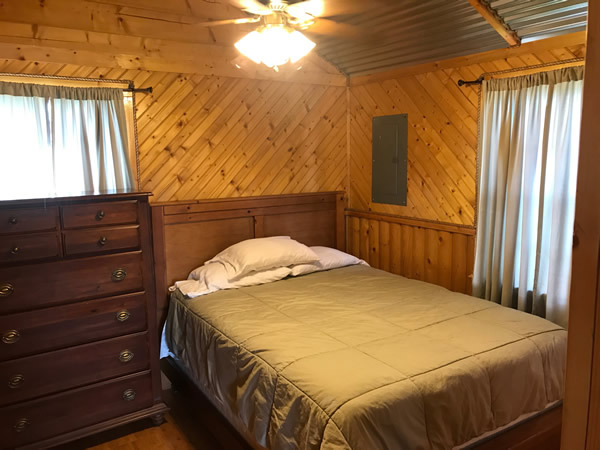 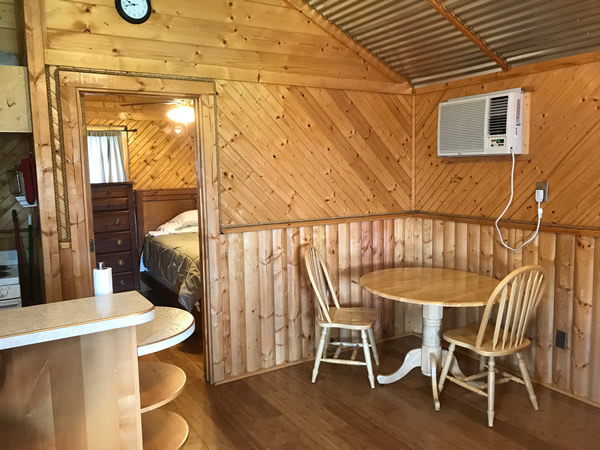 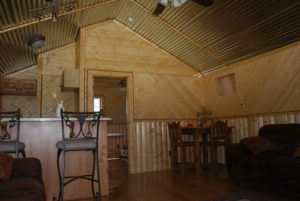 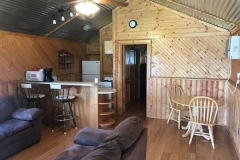 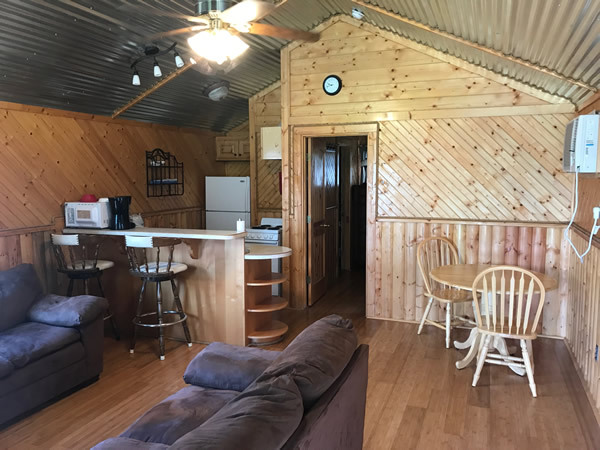 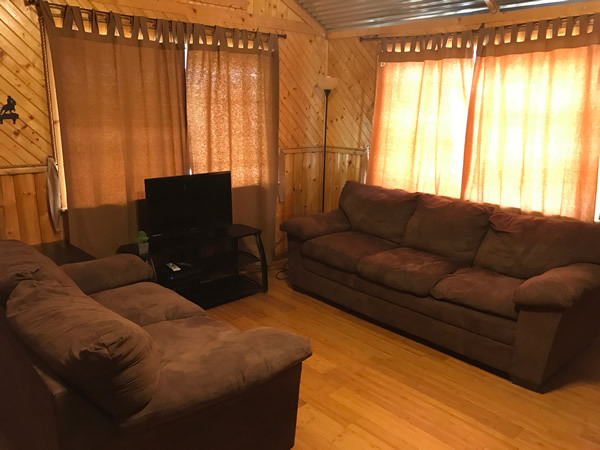 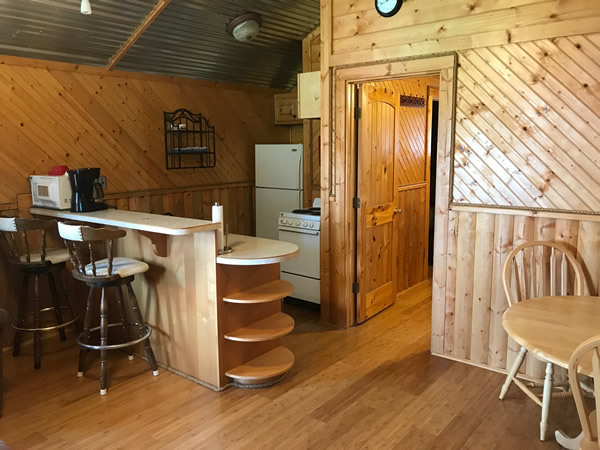 This is a beautiful one bedroom cabin that is one of a kind. 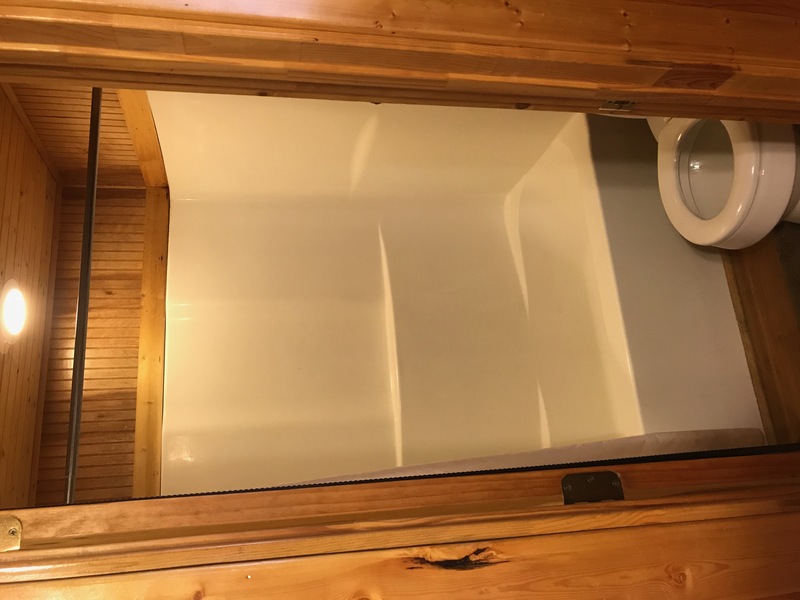 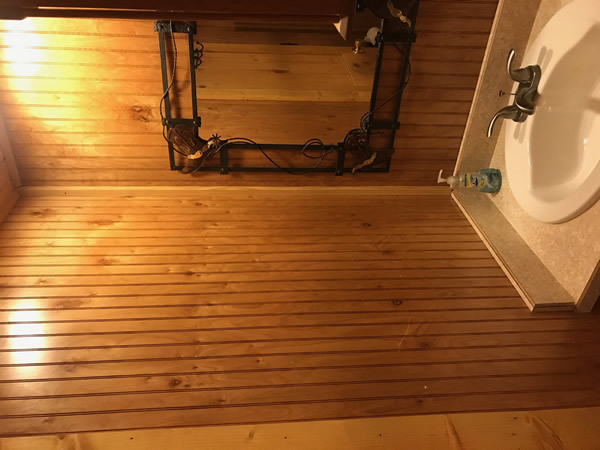 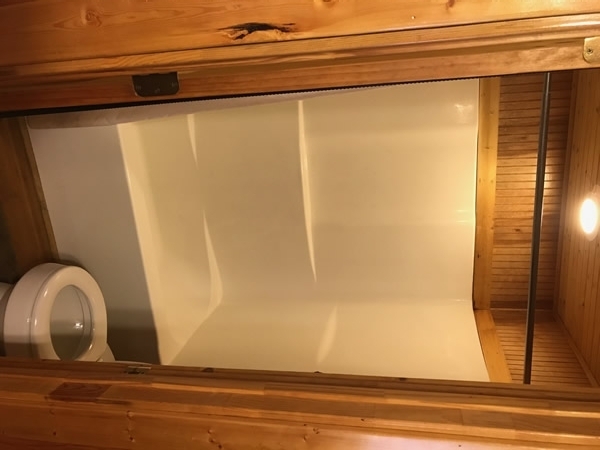 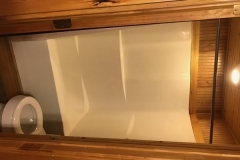 Very roomy and comfortable with a full bathroom with a tub. 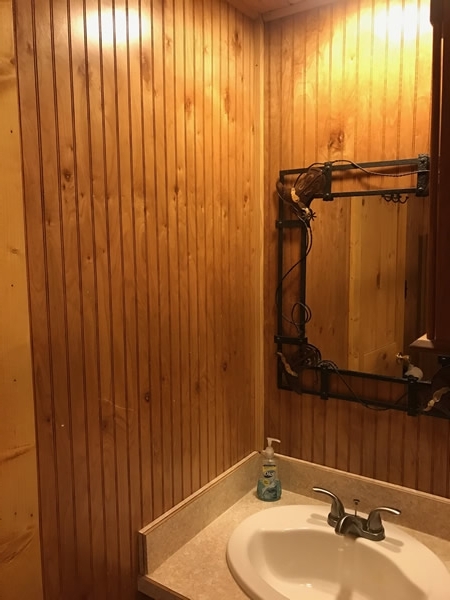 Scroll down for more photos. 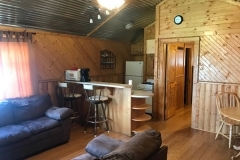 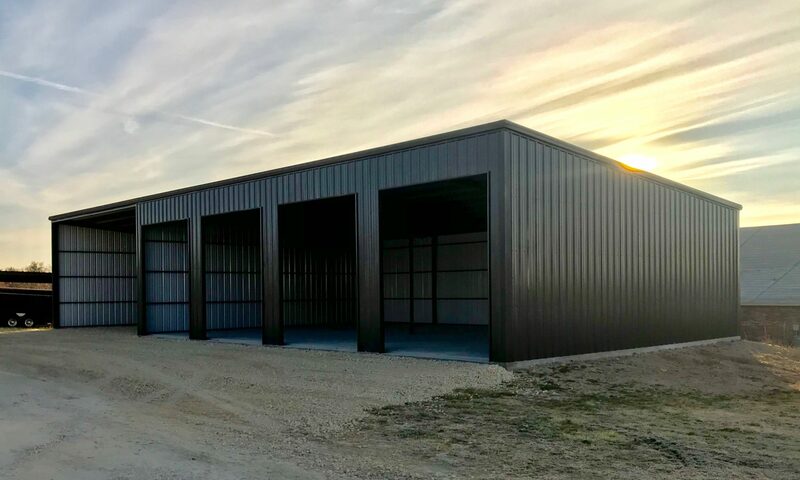 Appliances: Full size refrigerator, stove, oven, and microwave. 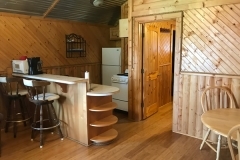 Washer and dryers are located close to the cabin in the laundry room.